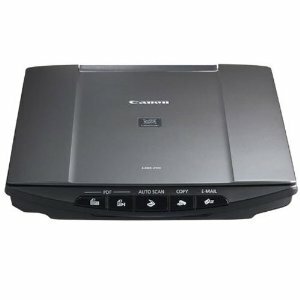 The Canon LiDE210 scanner is an ultra compact image scanner up to 4800 dpi. It provides fast, accurate scans and can automatically detect and adjust scan settings based on what type of document you are scanning. It is relatively lightweight and only requires one USB cable for connection to the computer. You won’t have to deal with bulky power packs and cords ever again. 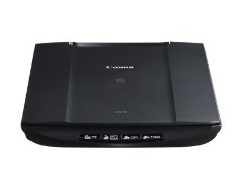 The Canon CanoScan LiDE210 will do a great job scanning virtually anything, including receipts, treasured photographs and other important documents. What it can’t handle however are large, three-dimensional objects, or in other words any document or object that does not come into direct contact with the glass scanning surface. Something which may fall into this category is a novel or textbook which cannot be flattened out perfectly. Some relatively thin books may be able to be scanned one page at a time by hanging them off the end of a table at a 90 degree angle and placing a weight on top of the scanner. What about the included image restoration software? While the advanced photo restoration settings may seem like a quick fix to improving old or damaged scans, in most cases they actually make them look worse. This is because they apply sweeping changes and you really have no idea which parameter actually made the scan look worse. In order to get the most out of this Canon scanner when dealing with photographs that need some tweaking, the best results are to be had by leaving all corrections to a dedicated photo-editing software like Adobe Photoshop or Photoshop Elements (which is far more affordable and good enough for the average person). – Small, light and won’t take up much desk space. If you have a very small work area the footprint can be reduced further still by mounting the Canon LiDE on its side. – Fast and accurate scans. 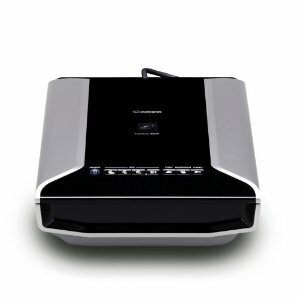 – Versatile scanning options including the ability to scan and create a PDF document or to scan straight to email. – Affordable price, expect to pay slightly under $100. – Running off a high-speed USB connection that draws little power, it eliminates bulky power cords and will free up the socket for something else. – While this unit is small and compact, this means that it won’t be able to handle most large documents or books. – USB connection may not be suitable for laptops as the scanner will cause the battery to run down quickly. The easy solution though is to not run on battery. – Hard to customize for more knowledgeable individuals. It is important to also note that Canon has deliberately streamlined the photo restoration for the inexperienced and as such, a little work may be required to get the results you want if you have more experience regarding photo restoration than the average person. Furthermore, such settings cannot be saved as default, so if you think you might use these settings on a frequent basis then consider looking at something more advanced. 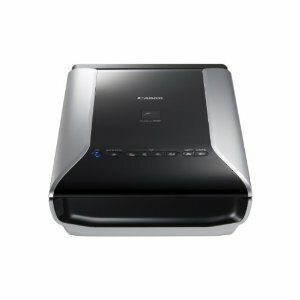 Overall the Canon LiDE210 scanner is a budget model that is more than capable of handling the majority of domestic and office tasks. It is small, simple and handles these tasks easily and without fuss. It won’t be suited to any sort of heavy duty work but is the perfect entry level photo scanner for those looking to touch up old photos or to keep a digital archive of old receipts or business records.